Saliba, M. Formosa, G. Portelli, O. Calleja, L. Meilak (J. Azzopardi), A. Zammit, L. Farrugia, M. Peres Vega, C. Vella (E. Xuereb), J. Grech, R. Meilak. Attard, J. Bajada (K. Hili), J. Xiberras, D. Bajada, J. Camilleri, S. Sultana, S.R. Gabriel, M. Mamo, S.F. Bajada, G. Farrugia, J.G. Vella. 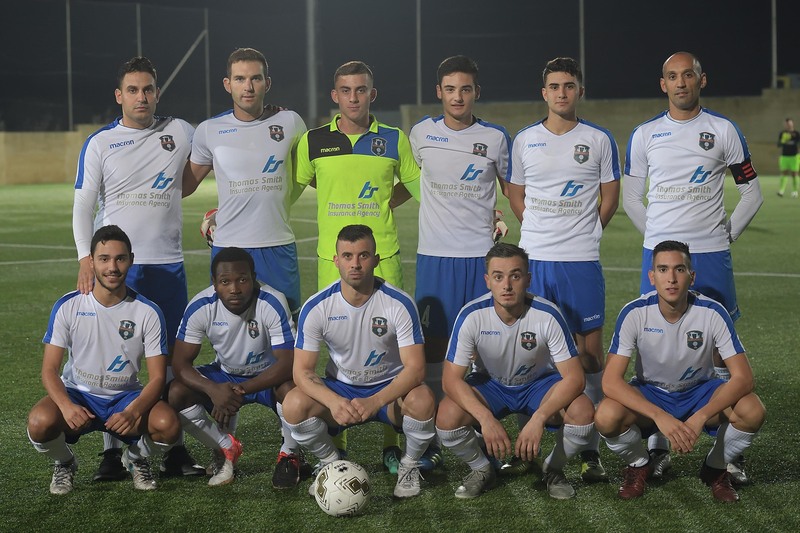 Zebbug Rovers earned a point from their match against challengers for promotion Xaghra United and registered their second positive result in the campaign. Xaghra were favourites to take a revenge for the defeat conceded against Zebbug in the match between the two sides of the first round. However, Xaghra failed to impose their superiority as they suffered Zebbug’s play and became frustrated as time passed by so that they ended up being erratic in their finishing. 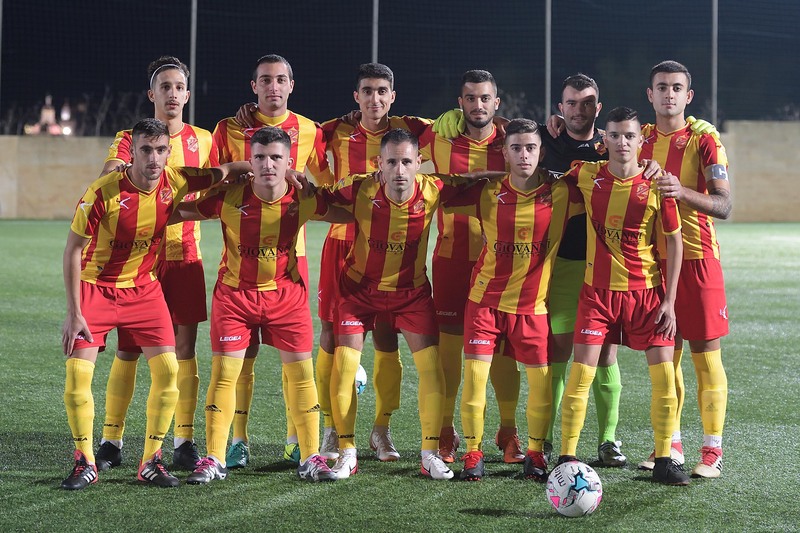 The final score rewards Zebbug’s efforts as they were determined to make up for four consecutive defeats conceded in the previous matches. The point obtained by Zebbug may give them some confidence in their attempt to move away from the bottom of the table. Play was rather balanced during the opening stages of the encounter as the two teams had an offensive attitude. Zebbug opened the score in their first serious action within Xaghra’s area as they were awarded a penalty on 15 minutes for handling by Xaghra’s Steve Sultana and Marcos Peres Vega converted from the spot kick. 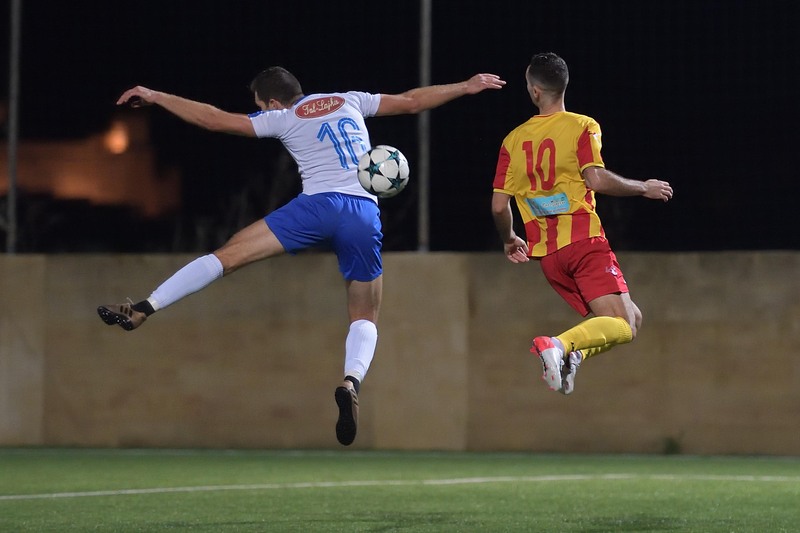 Xaghra leveled the score three minutes later when zebbug’s goalie Baskjal Saliba partially saved a strike from outside the area by Joseph George Vella and from the rebound Johnny Camilleri guided the ball easily into an open goal. 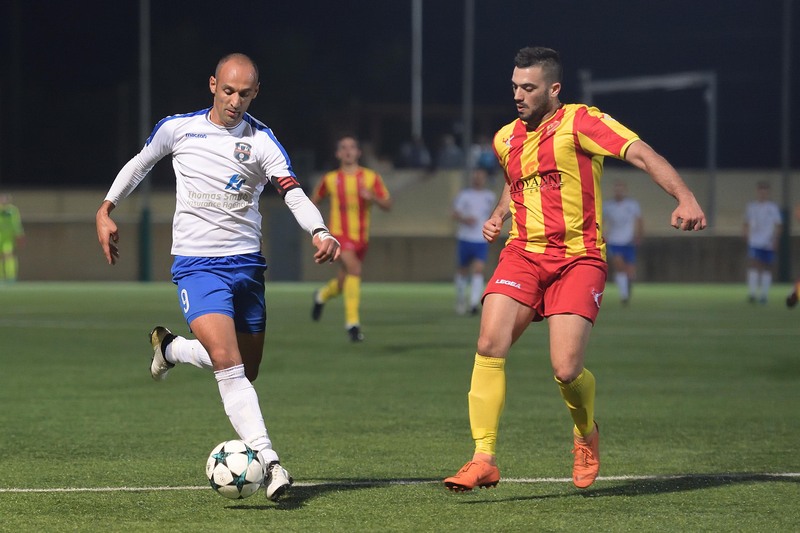 Xaghra tried to increase their pressure on Zebbug’s rearguard but the closest that they went to scoring was on 32 minutes through a shot cross by Joseph George Vella that passed across an open goal and the ball ended wide. One minute later Zebbug replied with an effort by Marcos Peres Vega that was blocked by the defense and from the rebound Luke Meilak concluded high. Zebbug held some supremacy during the first part of the second period and on 46 minutes a strike by Marcos Peres Vega was saved with difficulty to a corner by goalie Owen Attard. Xaghra recovered from the difficult moment but failed to create danger to Zebbug’s keeper. On 63 minutes Zebbug were again dangerous through a free kick by Marcos Peres Vega that was saved by Xaghra’s goalie Owen Attard and four minutes later Xaghra replied through an effort by Samson Remi Gabriel that was neutralized by Zebbug’s keeper Baskal Saliba. On 69 minutes Xaghra went very close to scoring when Johann Bajada entered Zebbug’s area but hesitated to conclude so that goalie Baskal Saliba blocked the danger. Five minutes later another attempt from a free kick by Zebbug’s Marcos Peres Vega ended high and on 79 minutes Xaghra’s Johnny Camilleri had a good shot that was defelcted to a corner by Zebbug’s keeper. During the final stages the match became more exciting as the two sides insisted to take the lead. On 84 minutes Zebbug’s Anthony Zammit had a shot from outside the area that ended high and Xaghra replied two minutes later through a free kick by Joseph George Vella that was well saved by goalie Baskal Saliba. 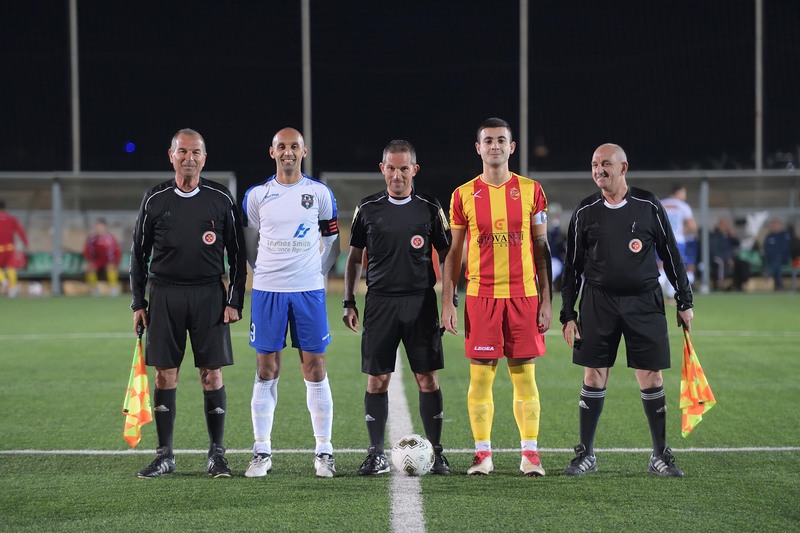 In another good action by Zebbug an effort by Lucas Farrugia missed the target and in the third minute of stoppage time Xaghra were reduced to ten players when Joseph George Vella was sent off for a second bookable offence. Xaghra could have clinched a dramatic win second from the final whistle but Marlon Mamo’s attempt from a corner kick by Samson Remi Gabriel ended over the crossbar.